The key word here is &#145;unofficial&#146;. Tom O&#146;Neil is an American film critic and commentator and he&#146;s been around long enough to be able to sift out the facts and figures from the morass of self-congratulation and financially motivated decision-making that forms the bedrock of the Movie Awards industry. O&#146;Neil lays out his standpoint from the opening sentence of his Introduction sentence &#150; &#147;There is no such thing as a &#145;Best Picture Of The Year&#146;.&#148; From that somewhat startling opening, O&#146;Neil proceeds to justify his observation by underpinning it with a plethora of statistics, all of which prove, that in essence, he has a point. Awards are a matter of opinion, and in spite of the multi-million dollar hoo-hah that is the Awards system, opinions belong to individuals, and just because someone&#146;s opinion is read by millions doesn’t make it more or less valid than that of the guy you overhear in a taxi queue talking about a movie he&#146;s just seen. That is not to say that Tom O&#146;Neil hates Awards ceremonies, and the people who give and receive Awards, but rather that he is aware of just how &#145;Hollywood&#146; the whole scene is, and just how easy it is to get caught up in the sheer wonderfulness of it all. O&#146;Neill&#146;s skill is in tracing a fine line between involvement and interest in his subject, and sufficient detachment to take an overview of the industry and to surgically remove it&#146;s more amusing and disturbing traits for close examination. The book is a huge work &#150; it weighs in at over 800 hundred pages, and is not designed to be read from cover to cover, unless you have the time and the inclination, in which case you really will be able to hold court at any dinner party when movies become the subject of discussion–and risk not being invited back! The layout and sectioning of the book mark it down as a reference work and as such it is neatly divided into manageable annual sections, from 1927 to 1999, including statistical information and an overview of the changing industry which provides fascinating and insightful reading. The depth of comment on each year of the period in movie history covered by the book is its greatest strength. The analysis puts flesh on the bones of the statistical information that accompanies it, and means that any reader can derive a perspective about how and why some films are successful and some are not, together with the ability to draw a line under the bar/office debate about which film won which Award and when. It is possible to assess the career movement. success, and background of your favorite actor, actress, or movie by means of the comprehensive index, which should make the book more user-friendly than its size and bulk initially suggest. Throughout the entire work, Tom O&#146;Neil retains his detached and twinkling cynical take on the movie industry as a whole, never allowing his affection for the movies and people who make them detract from his shrewd observations with regard to the wheeling and dealing that goes on to create the large number of Awards ceremonies that can make or break individuals&#146; entire careers. .&#148; (cue twenty-minute read-out of people no-one outside the industry has heard of, prompting millions of TV remotes around the world to click into action) and instead opts for a selection of witty and wry observations from people who have managed to think of something original to say at a time when they are right at the front of their career shop-window, with an entire display devoted to their utterances. Move Awards is an excellent choice for anyone looking for a combination of insightful observation and statistical information in abundance.If you compile the office quiz at Christmas, or you like to offer some knowledgeable opinions on the movies that make up cinematic history, then this is the book for you. 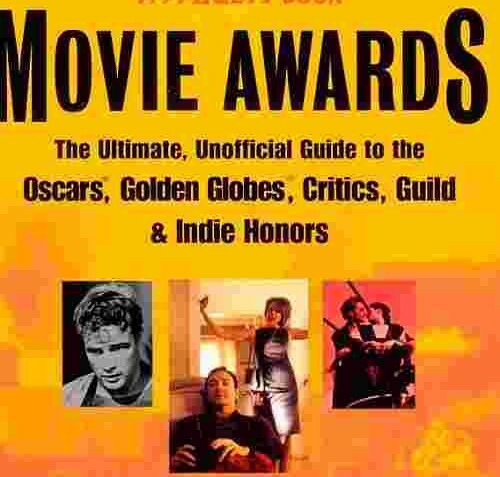 Even if you have only a passing interest in movies, the human foibles and interests that underline the essence of Awards Ceremonies is fascinating on its own, and can provide a wealth of reading pleasure for any student of human nature. Know a film buff? Buy Movie Awards as a gift &#150; buy only if you don&#146;t have to send it by post!